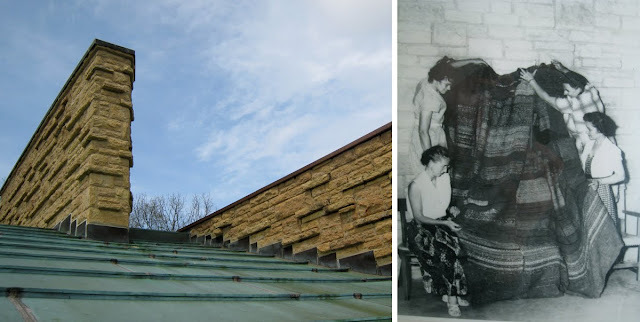 The First Unitarian Society of Madison, Wisconsin, commissioned Fire Farm to do the lighting for the new addition to their Frank Lloyd Wright-designed Meeting House, and to update the lighting in the original historic structure. One important element of the job was that the original copper roofing off the Wright structure was to be recycled into the new light fixtures. Years earlier Mrs. Wright, along with volunteers from the Society, had hand-woven 120 feet of curtain on the looms at Taliesin to be used in the original Meeting House. 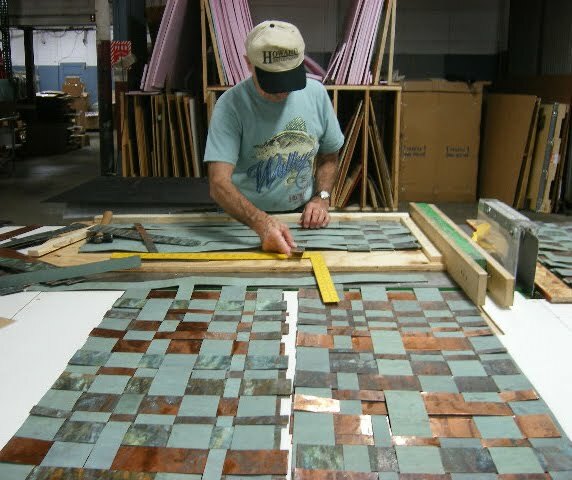 Symbolically “Weaving the Past with the Present,” bridging the old structure with the new, and with a nod to the historic work of Mrs. Wright and the congregational volunteers, Fire Farm utilized this recycled copper in a functional, yet uniquely sculptural way. The material was sheared into linear strips of various widths and loosely woven into rectangular panels for wall sconces. 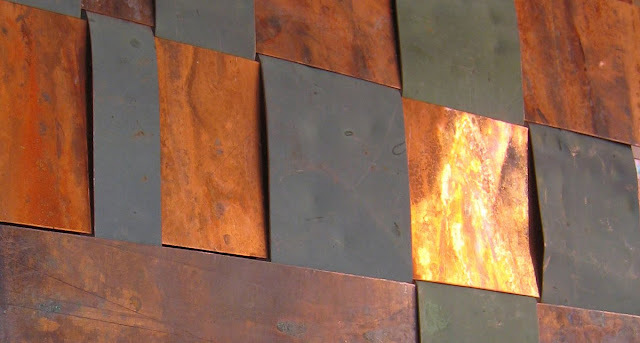 The exterior surfaces with green patina were alternated with the raw copper surfaces of the under sides, symbolizing the weaving of the new with the old. Each piece was individually handwoven by Fire Farm's Howard Mayer into a different pattern so no two would be the same. Light was allowed to filter through the cracks in the face and spill out behind and around the fixtures creating a halo effect. 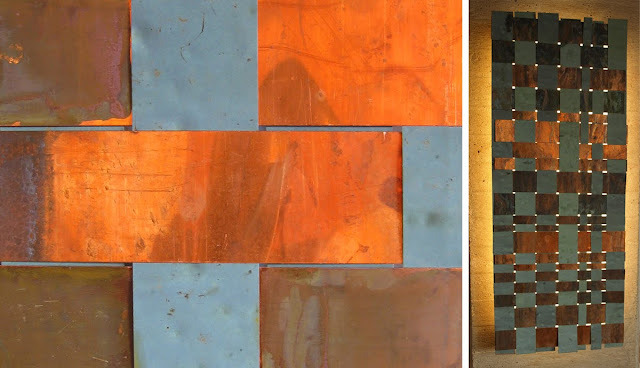 The bright copper picks up ambient light in the room and reflects it warmly back while the natural patina adds a character only possible from 50 years of exposure to nature.